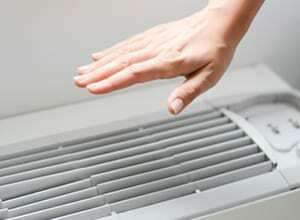 Heating and cooling systems play a big part in everyday life. So it’s no wonder people stress when something goes wrong with them. At Goodberlet Home Services, we are experienced with all major types of HVAC equipment. We can also help you reduce your energy consumption and enjoy ultimate comfort in your very own “connected home.” From efficient installations to quality repairs, we do whatever it takes to make your house always feel like home. 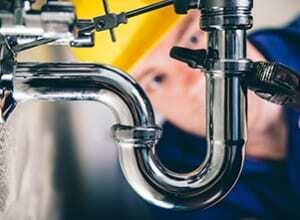 Your plumbing should be an asset to your home—not a nuisance. Our qualified and experienced plumbers use their skills to improve your plumbing for the long term. When you notice something unusual with your plumbing, don’t look the other way and wait until the situation worsens. We have the tools and training to get your system—and your routine—back on track. We never leave our customers in the dark. Providing electrical upgrades, appliance installations and more, we are your one-stop solution for electrical services. Our electricians are well-versed in all types of systems and will help you make the right decision with yours. Goodberlet prioritizes safety to improve your electric and make your life easier both now and through the years. Energy efficiency is great for your finances and the environment. But when it comes to air quality, an energy-efficient home can trap contaminants inside. At Goodberlet Home Services, we let you have the best of both worlds with our indoor air quality services. You’ll be able to enjoy all the benefits that an energy-efficient home has to offer while breathing clean, safe air. Our carpenters have over 100 years of experience with repairs, remodeling, and new construction in both residential and commercial applications. We can provide design assistance with your project to assure all of your needs are met. We also can provide financing for any unexpected repair projects, and specialize in restoration work (insurance claims). Office staff was very helpful. The plumber, Mike, was polite and competent. The repairs were completed quickly and the cost was very reasonable. Definitely would recommend Goodberlet Home Services to others. I would absolutely recommend Goodberlet to anyone needing work done in their home. The professional technicians have fixed my generator, plumbing issues, and installed a brand new furnace and air conditioner in my home in the last 2 years. The office staff is friendly and accommodating. Thanks Goodberlet! Goodberlet Home Services came out to my home last week to repair my furnace. This was the first time I have used their company, and I was extremely pleased. Their total bill was almost $200 less than a local competitor. Goodberlet Home Services was founded in 1982 on a simple mission: to make life good for our customers. This means delivering solutions they can trust and value for years to come. Our products and technology are cutting-edge. But our service approach embodies old-school notions of how work should be done. With every job, we follow the Golden Rule and treat our customers how we want to be treated. No matter what the work entails, we always put the customer first. This means doing what’s best for you…not what’s easiest for us. We care deeply about our community and helping our neighbors live comfortably with trusted HVAC, plumbing and electrical solutions. As a one-stop solution for complete home services, we provide a seamless customer experience that is second to none. Whether you need heating repair in Kankakee, IL, or electrical upgrades in Manhattan, IL, customers know they can expect the best when they call us. At Goodberlet Home Services, we do it all for our customers—and we do it right.